Power Trading has come a long way since trading has been recognized as a distinct entity in Electricity Act, 2003. Basically, Power trading is an activity of buying and selling of power at Power Exchanges, which are approved by Central Electricity Regulatory Commission (CERC)and moreover standardized Products are offered to buy and sell power. Thus Power is traded like a commodity at Power Exchanges like IEX (India Energy Exchange), PXIL(Power Exchange India Ltd.) Likewise shares trading are done on SENSEX etc & commodity trading at NCDEX etc. Open Access allows large users of power having a connected load of 1 Megawatt (1MW) to buy cheaper power from the market. •	Inter State Open Access: When buying and selling entity belong to different states. •	Intra State Open Access : When buying and selling entity belong to same state. 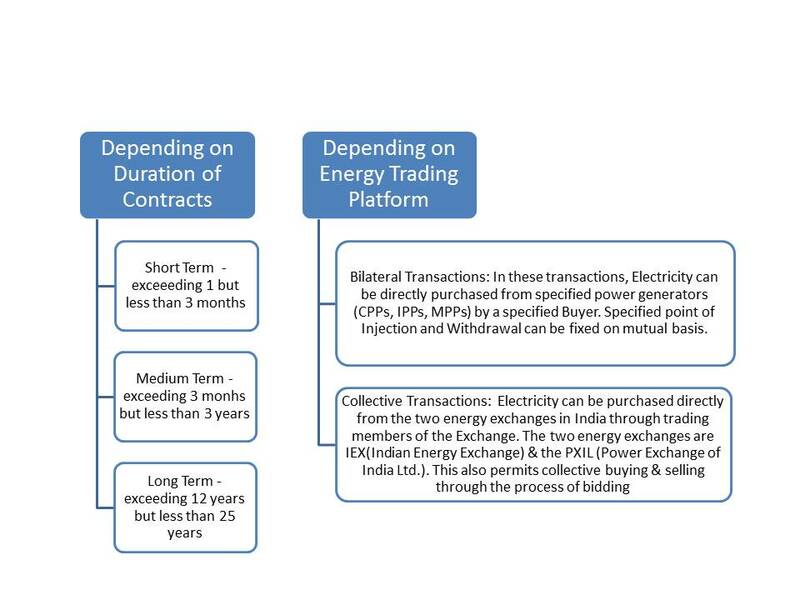 Broadly Power trading can be sub classified on the basis of duration of contracts and energy trading platform. What are the statutory requirements for Power Trading? •	Consent from DISCOMs/SLDC to trade power. List of Power Trading Licensee? 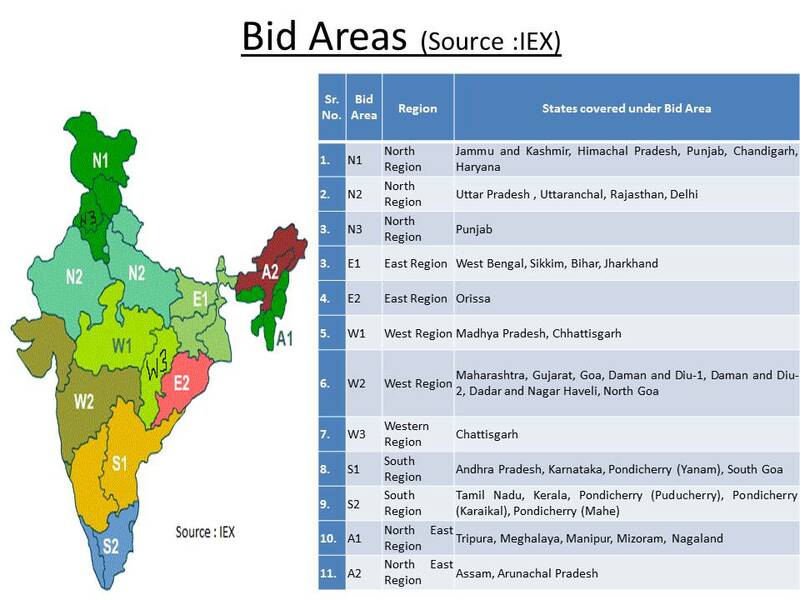 •	Tata Power Trading Company Ltd.
•	Reliance Energy Trading Ltd.
•	JSW Power Trading Corp.
•	Jindal Steel and power Ltd.
What are various Bid areas on Energy Exchange? What is HHI & its relevance in power market? •	In 2011-12, Weighted Average price of electricity traded through Power Exchanges Rs 3.67 / unit and through trading licensees Rs 4.33 /unit. •	During 2012-13, only 179 million units of electricity was exclusively bought during peak hours under bilateral transactions from traders (exclusive of banking). 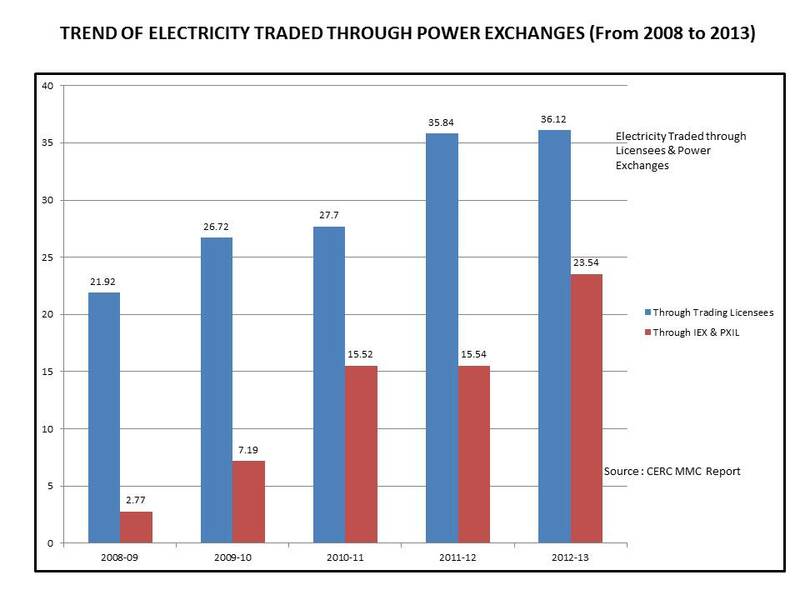 This was 0.79% of the total electricity bought under bilateral transaction from traders (excluding banking). A major part of this, 93.24%, was bought on round the clock (RTC) basis, followed by 5.97% exclusively bought in periods other than peak periods. The per unit price of electricity procured on round the clock (RTC) basis was the cheapest (4.29/kWh), followed by electricity exclusively procured during non-peak hours (4.66/kWh) and electricity exclusively procured during peak hours (4.97/kWh). This entry was posted in Power Trading, Uncategorized and tagged Bilateral, CERC, Collective, EA 2003, Electricity Bid Areas, Electricty Act 2003, IEX, Inter State Trading, Intra State Trading, Open Access, Power Trading, PXIL, Short Term Market, Trading, UI.